We’re back! Today, we’re spotlighting five ho-ho-home inspectors who trusted us to build their websites as part of a comprehensive digital marketing campaign. Inspect these websites for some design inspiration. 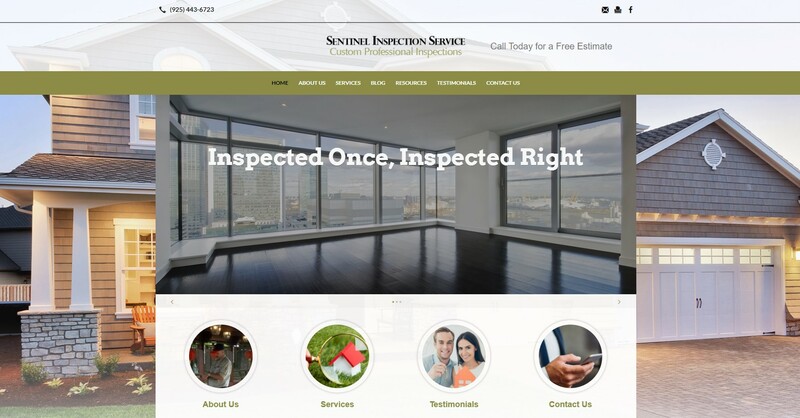 Founded by qualified and licensed home inspection professional Bill Speer back in 2010, Speer Home Inspections LLC provides quality home inspections to homebuyers throughout the Wayne, NJ area. Bill has a handful of grandkids and has 5-star reviews across the board for his business! James Yaeger has completed more than 10,000 home inspections during his 22 years in business. This fall, James took a trip to San Antonio, TX, where got to stay in one of the most haunted hotels in Texas. He got to use their spooky infrared technology there, too! Ryan Brightman has performed over 1,000 inspections in the Richland, WA area and takes pride in providing peace of mind for his customers. When he isn’t performing home inspections, Ryan enjoys lots of outdoor activities and sports. Brian Handy is the founder and owner of Sentinel Inspection and has worked in Livermore, Brentwood and the surrounding California communities since 1989. Brian was recently invited to speak at a three-man panel on home inspections and the real estate industry. Charlie and Sandy Sessums of Alpha Building Consultants in Brandon, Mississippi have been in the home inspection business since October 1, 2001, and have a background in construction. Charlie was appointed by the governor to the Mississippi Home Inspection Regulatory Board, but he resigned when he was asked to be a Subject Matter Expert for the Examination Board of Professional Home Inspectors (EBPHI). He currently serves on the EBPHI Board of Directors. Read more about the four-legged friends at Alpha Building Consultants here. We’re featuring Four Frosty Salons tomorrow on our blog, so if you are looking for a little inspiration for your salon’s website, check back!